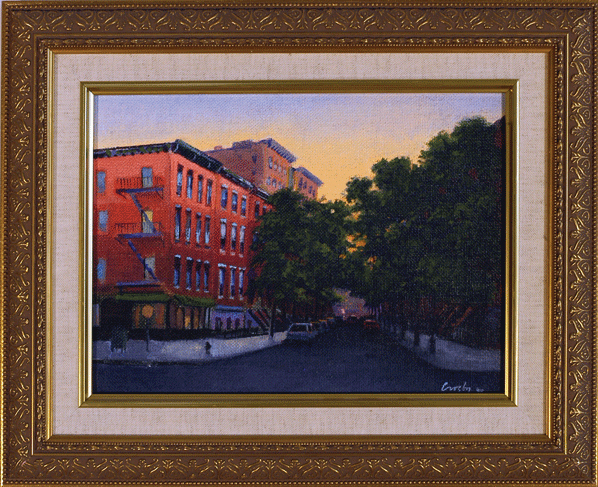 "West Village" Oil on canvas, 12.25" x 15"
George Lee Crosby was born in New York City in 1949. He was educated at the University of Michigan in Anne Arbor, Michigan as well as the Cooper Union for the Advancement of Science and Art in New York, and the San Carlos Academy in Mexico City, Mexico. George has exhibited his paintings in numerous galleries all over the United States. He has traveled extensively throughout the world, including China, Tibet, Nepal, India, Burma, Thailand, Laos, and Vietnam. George is not only a painter but also a graphic designer. He currently resides in Maine.